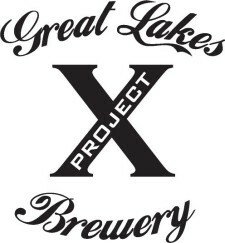 ETOBICOKE, ON – Great Lakes Brewery have announced the launch of Project X, a monthly event at the brewery that will feature a new and limited cask beer only available for the night. Entry to each monthly event will include samples of the monthly cask conditioned beer, 2 drink tickets, and beer-themed food. Admission is only $10, plus an additional one-time membership fee of $10. All members will receive an exclusive t-shirt and membership card. Held on the second Thursday of each month, the first event is July 9 from 6:30-9:00 PM. Great Lakes staff will be on hand to tour, taste, and talk about the world of beer. To get on the list, email info@greatlakesbeer.com or sign up in the Great Lakes retail store. Sounds strikingly similar to what Cameron’s does.